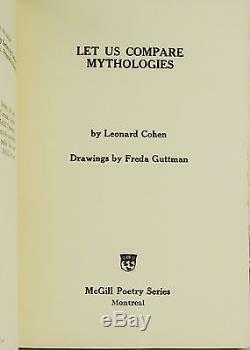 Let Us Compare Mythologies by Leonard Cohen Drawings by Freda Guttman First edition of Leonard Cohen's scarce first book inscribed to his aunt in the year of publication. 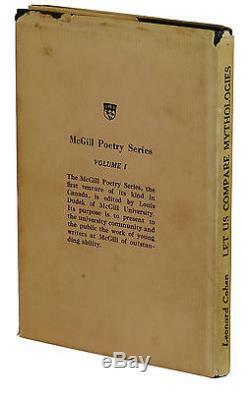 Montreal: Published for McGill Poetry Series by Contact Press, 1956. Original black cloth with silver lettering. One of approximately 400 copies. 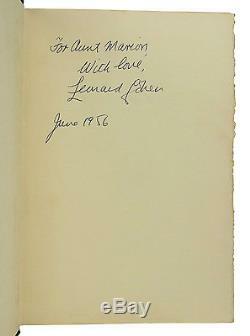 Signed by Leonard Cohen on the front free endpaper, warmly inscribed to his aunt Marion. Near Fine in Very Good dust jacket, spine-sunned, lightly soiled and stained, faint impression on front panel from being used as a writing surface, chipped at extremities with a small closed tear extending into front panel. Occasional light foxing, a bit of offsetting to endpapers. 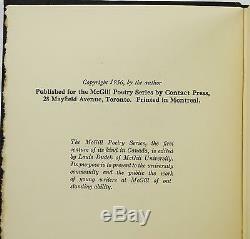 The late singer-songwriter, writer, and poet's first published book, of poems written when he was 15-20 years old, inscribed to his mother's sister in the year of publication. A phenomenal copy of a legendary rarity. 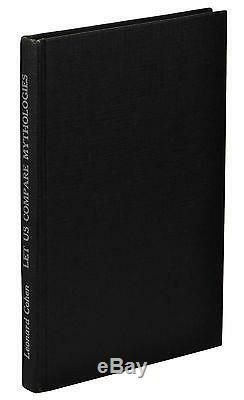 We specialize in rare and out-of-print books! 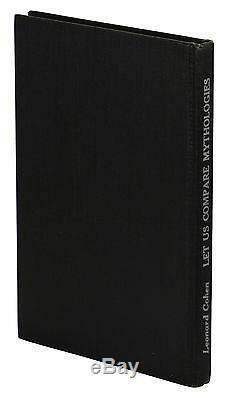 The item "Let Us Compare Mythologies by LEONARD COHEN SIGNED to Aunt First Edition 1956" is in sale since Tuesday, November 22, 2016.